March 23, 2017, 2:09 p.m.
NowThis’s success with its short newsy clips and distributed content ambitions gave it a model worth emulating. Now it’s looking beyond the format as it invests in longform video, investigative journalism, and other original content. By Ricardo Bilton @rbilton March 23, 2017, 2:09 p.m. 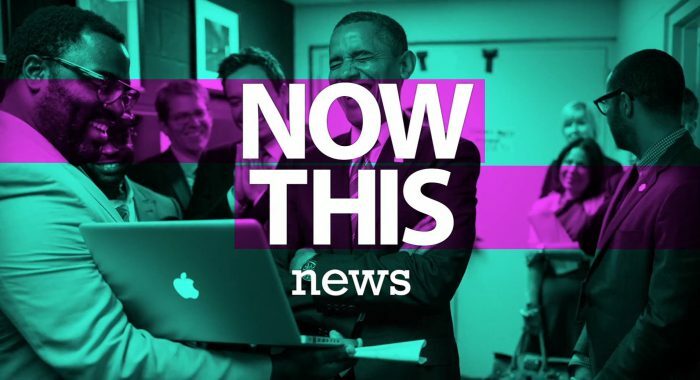 If you’re looking for someone to thank — or blame — for those text-over-video news clips that have taken over your Instagram, Facebook, and Twitter feeds, look no further than NowThis. The company was a pioneer of the format and an early practitioner of the strategy of creating content solely for platforms like Facebook, Instagram, and Snapchat. It’s a formula that’s inspired no shortage of copycats over the past few years. Now, in keeping with the march of digital news organizations up the content value chain, NowThis is going beyond the aggregation-heavy short clips for which it’s known and venturing into original reporting, investigative series, and other longform video. The company announced its ambitions last month, along with the news that it’s brought on executive producer Matt McDonough (formerly of MTV), political director Nico Pitney (from The Huffington Post), and editors-at-large Andy Carvin and Kim Bui (both from First Look Media’s Reported.ly). These hires come on the heels of Discovery Communications’ $100 million investment in Group Nine Media, a holding company that includes NowThis, Thrillist, and The Dodo. NowThis’s expansion comes just two months after Facebook said the News Feed algorithm will give a slight preference to longer videos that people spend time watching. (Stephanopoulos said NowThis’s plans predate knowledge of Facebook’s announcements.) Likewise, the demand for original video content from the likes of Snapchat, Amazon, Netflix, Verizon’s Go90, and Comcast’s Watchable have given video creators a greater variety of places to put their video — and more companies willing to pay for it. The hires of Pitney, and, in particular Carvin and Bui are core to NowThis’s ambitions to build a new capacity for original video and reporting. Carvin launched Reported.ly at First Look Media in late 2014 around the idea of “social journalism”: Instead of publishing news on a central site, Reported.ly monitored chatter on social media and published to those same platforms in real-time. Carvin, who’d used the approach at NPR to cover the Arab Spring in 2014, also applied it to Reported.ly’s coverage of, for example, the 2015 attack on the offices of French satire newspaper Charlie Hebdo, and the earthquake in Nepal. That distributed approach, as it turns out, is a good fit for NowThis, which has embraced a similar idea when it comes to building audiences on Twitter, Facebook, and other platforms. (Like NowThis, Reported.ly was also late to develop a homepage, preferring to focus on platforms rather than its own site.) Reported.ly shut down last summer after First Look Media pulled its funding; the company said it made the decision because Reported.ly “didn’t fit into First Look Media’s overall content strategy,” Carvin explained to Fortune last August. 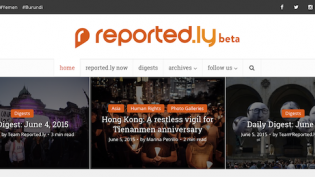 “The two years we spent working on Reported.ly taught us a wide range of lessons — some very positive, some not so positive — about how you can use social media to tell real-time and in-depth stories about the human condition around the world,” said Carvin. “The way we were able to use social media to punch above our weight is something we plan to bring to NowThis.” One of the big benefits of the approach, he said, is that it allows organizations to cover stories without putting reporters on the ground. They can cover a wider variety of stories in many places, giving the illusion from the outside that the organization is larger than it actually is. Carvin said that NowThis plans to apply the approach to core topics such criminal justice, equality, climate change, education, and college affordability — “key things that resonate with a younger millennial audience,” Stephanopoulos said. It’s in some ways uncharted territory for the company, which until this point hasn’t focused on original reporting in its videos. While the site scored some original content wins with, for example, its interview with Obama last year, much of its focus has been on “covering the news, but not reporting on it,” said Stephanopoulos. POSTED March 23, 2017, 2:09 p.m.
Bilton, Ricardo. "With Reported.ly vets, NowThis wants to make social reporting core to its original content ambitions." Nieman Journalism Lab. Nieman Foundation for Journalism at Harvard, 23 Mar. 2017. Web. 22 Apr. 2019. Bilton, Ricardo. "With Reported.ly vets, NowThis wants to make social reporting core to its original content ambitions." Nieman Journalism Lab. Last modified March 23, 2017. 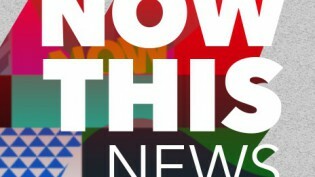 Accessed April 22, 2019. https://www.niemanlab.org/2017/03/with-reported-ly-vets-nowthis-wants-to-make-social-reporting-core-to-its-original-content-ambitions/.